PRE-EXISTING CONDITION IN THE WOMB? Thirty-five years ago, our first son was born and, expecting only good things, we happily paid the extra health insurance premium to add him to our policy. 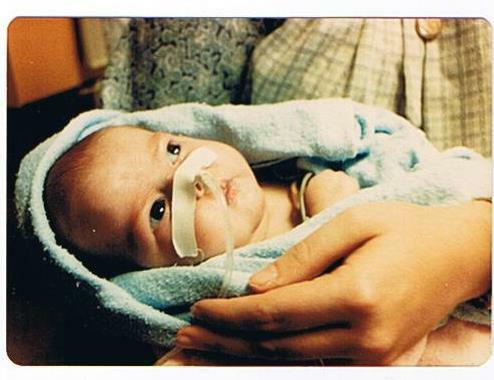 A few weeks later, the health Insurance company wrote saying they had denied coverage of his medical expenses based upon a determination that he suffered from “a pre-existing condition in the womb.” He was born with two “medical anomalies” – physical issues that threatened his life and required immediate hospitalization. He had a tracheoesophageal fistula (meaning there were abnormal connections between his esophagus, carrying food to his stomach, and his trachea, carrying air to his lungs). And to complicate matters, he only had one lung. There were no known genetic syndromes to explain his troubles and there had been no expectation of prenatal developmental issues until shortly before he was born when I developed preeclampsia. At the time when the insurance company was deciding to deny him coverage, the medical team was optimistic about his chances for survival. 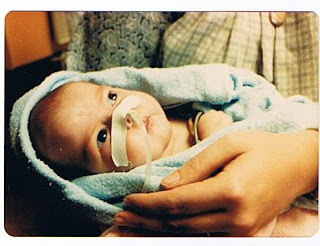 He had been born with robust APGAR scores (tests done immediately after a baby is delivered to find out if he had any noticeable neurological, cardiac, or other difficulties). After he was born, he could breathe on his own. He was fed through a tube and, with that tube, he was able to receive and benefit from my breast milk. The doctors and nurses were optimistic that they could help him survive and thrive. That was not to be the outcome, however. He never left the ICU at Children’s Hospital Boston. He had numerous prolonged surgeries – unsuccessful, almost desperate, attempts to remove the fistulas and to restore his esophagus. He ended up on a ventilator to breathe for him. Strong drugs were given to ensure he didn’t move and to help him tolerate the high vent settings. Constant blood draws were required to test his oxygen levels and blood chemistry. As the months went on, he suffered from daily “blue spells” when his breathing would stop because gastric juices from his stomach would make their way into his lung. Eventually he died of “cerebral atrophy” – his brain no longer functioned. A brain scan was done - the inside of his head looked like a shriveled-up walnut. All those blue spells had deprived his brain of oxygen and there was nothing left inside. He died after nine and a half months in the intensive care unit with all the high-tech supports available to him BUT without a dime of insurance money available or paid .